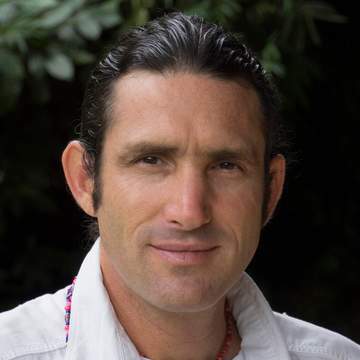 The 2019 Council Gatherings are being facilitated by Jonathon Miller Weisberger, author of Rainforest Medicine: Preserving Indigenous Science and Biodiversity in the Upper Amazon. 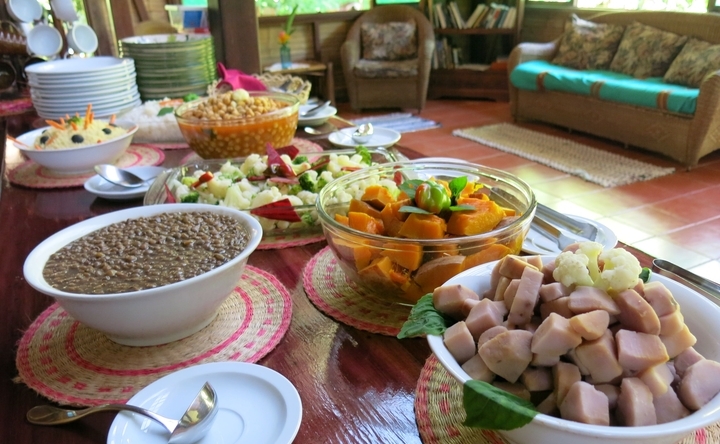 The experience he brings as an adept ethnobotanist, conservation pioneer and rainforest guide with decades of delving deep into the pulsating heart of Rainforest Medicine traditions bring these retreats to the whole next level! 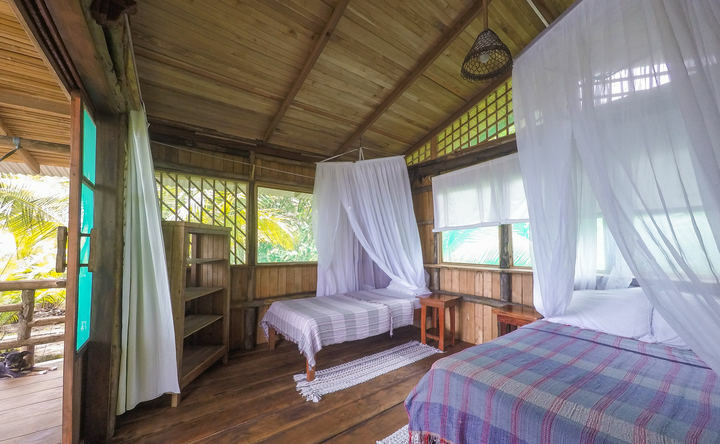 • Comfortable shared accommodations at Ocean Forest Ecolodge Retreat. Private rooms are also available at an additional rate. 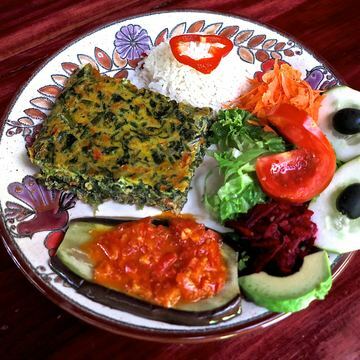 • Three natural wholesome meals daily, except on fasting days where one simple dieta friendly meal is served. Enjoy this spectacular retreat with friendly staff, double and triple bungalow accommodations, and all natural, scrumptious cuisine – the perfect place to relax and renew! 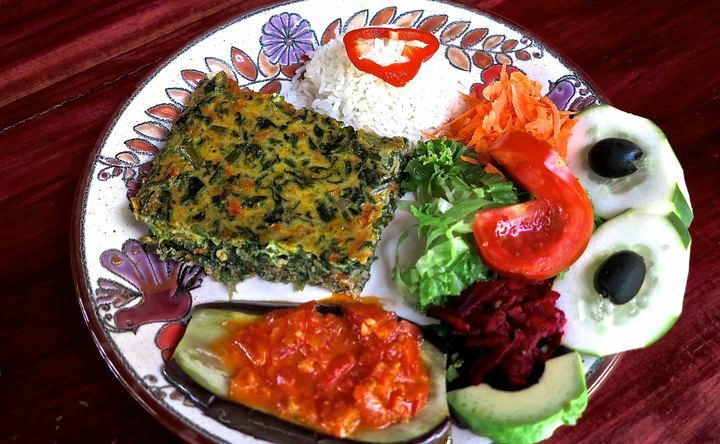 Scrumptious natural and wholesome cuisine. Meals are prepared by our kitchen staff using fresh local produce. The Ocean Suites are our most spacious and elegantly rustic rooms, double occupancy or triple occupancy with a child. These bedroom suites open to a balcony surrounded by an exuberant tropical setting, and beautiful views of the sparkling Pacific Ocean. Private balconies have a sitting area, hammock, chairs, writing desk and indoor spacious en suite bathroom. They hold up to three guests and are an ideal space for visiting couples who want a more comfortable option, ocean view and private bathroom. The Bungalow Rooms are our largest rooms accommodating up to four guests, triple or quadruple occupancy for a couple with two children, These rooms open to a balcony surrounded by an exuberant tropical setting, and beautiful views of the ethnobotanical gardens and tropical scenery. All in close proximity to an amazing beach and ocean. Large windows, sitting areas, hammock, writing desk private porch, and en suite bathrooms make them an ideal space for retreat guests, as well as families, couples or friends. Our most private and secluded option with double occupancy. These cabañas are are plum on the beach, with a breathtaking view of the sparkling Pacific Ocean right from the cabaña's balcony. They each have a private indoor bathroom, with toilet, sink and shower. * a Dorm room that hold up to 5 guests in two rooms that share a private bathroom. Toiletries and towels are provided for all rooms. Arriving ~ The Adventure Begins! Ocean Forest Ecolodge (aka Guaria de Osa) is situated on a roadless people friendly paradise beach called Playa Rincón de San Josecito. 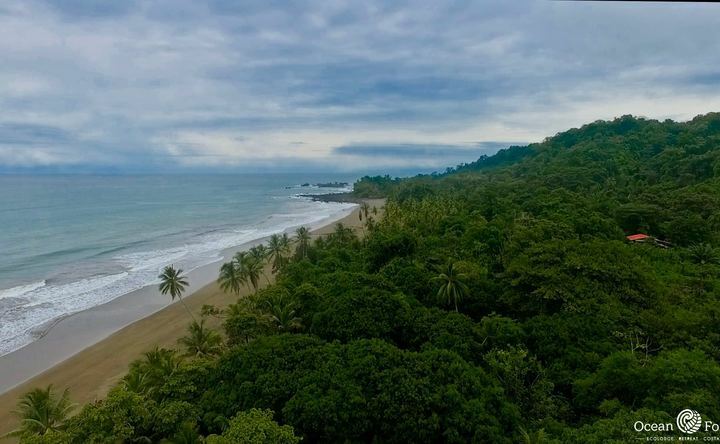 We are situated in southern Costa Rica, on the westernmost cove of the Osa Peninsula, just South of Drake Bay and just North of Corcovado National Park! See you soon and enjoy the ride! The absolute beauty of our location is our pristine and remote setting. Being that the last leg of the journey is by foot, we suggest you pack light and bring a backpack. We are also happy to help you with your bags if you’ve packed with a suitcase. Please review the “What to Bring” list to ensure you don’t overpack. There are two points of entry, from Drake Bay or the river town of Sierpe. DRAKE BAY: The nearest point of entry is Drake Bay, a small bay town on the Pacific Ocean. From the airport arrival to our beach is by a jeep ride through the beautiful southern Costa Rica country side, where locals still get around by horseback! Arrival is also possible from Drake Bay by a 25-minute boat ride to San Josecito Beach. This option is only available for groups of 6 or more guests. SIERPE: A sleepy river town, 15-minute drive from Palmar Sur airstrip or 20-minute drive from the Palmar Norte bus station. From Sierpe arrival to the ecolodge is by a one-hour boat ride down the meandering Sierpe River mangrove estuary; then out onto the sparkling Pacific Ocean to San Josecito Beach. Passing the river mouth is an experience to be had in and of itself! Community boats called “el colectivo” depart daily from Sierpe at 11:30 a.m. and 4 p.m. from Donde Jorge Restaurant. Private chartered boats can leave at any time between 7 a.m. 1 p.m. We recommend entering in the morning, and if chartering a boat by 1 p.m. being that the ocean is calmer in the morning. The afternoon ride can sometimes be bumpy, but there is the 4 p.m. community boat available for those coming in late. Palmar Norte and Palmar Sur are the same town, called Palmar. Palmar Norte is the part of town on the north side of the Terraba River where the bus station is located; Palmar Sur is the part of town on the south side of the river where the domestic airport is located. Entry is mainly by an adventurous 40 min. safari style jeep transport. You drive through rainforest country side and cross several creeks and rivers. Your flight should arrive at Drake Bay airstrip by 3 pm latest. Best to arrive on the early flight! A jeep will pick you up at the airstrip and take you all the way San Josecito’s beach school house. Our staff will meet you there help with luggage, a 15-minute beach walk and your there, unless you get side tracked by the epic beauty! From Drake Bay it is a 20-minute boat ride along the cost to San Josecito Beach. For groups, boat transfers can be arranged. Boat entry from Drake Bay is best in the morning while afternoon arrival from Drake Bay is only by quad or jeep. It is important to note that San Josecito School House and San Josecito Beach are two different locations. San Josecito School (Escuela San Josecito) is located on Rincón de San Josecito beach and is where the road from Drake Bay ends. The school house is located just south of the ecolodge, arrival from the school house one walks about 800 meters to the north, approx. 15 minutes, with the ocean to your left. San Josecito Beach (Playa San Josecito) is a protected cove that offers safe boat arrival, it is located just to the north of the ecolodge. It is also a great spot for snorkeling and wildlife observation! All boats arriving from Sierpe, pass Drake Bay, and leave passengers at San Josecito Beach. From San Josecito Beach walk south about 15-20 minutes, with the ocean on your right. Follow the coast trail, through a coconut grove the next beach over, called Playa Rincón de San Josecito. This is a mile-long paradise beach, our beach that we love so much! 500 meters down the beach you’ll see our boats and a boardwalk in to the property. You’ve arrived!!! The Ecolodge is nestled on a secluded, mile-long beach, between the sparkling Pacific Ocean and the magnificent rainforest. We are a nature sanctuary devoted to sustainable eco-tourism, and rainforest and wildlife conservation. Find yourself surrounded by ethnobotanical and permaculture gardens amidst a timeless people friendly wilderness setting. 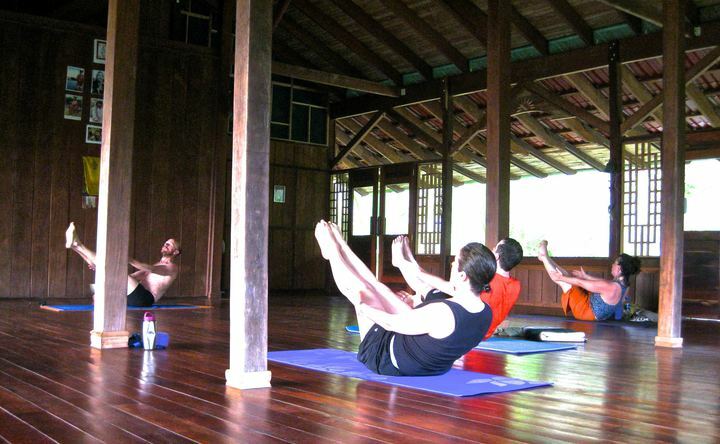 Adjacent to Corcovado National park, in a region abundant with birds and wildlife. Ethnobotanist Jonathon Miller Weisberger has spent the past twenty-seven years studying rainforest plant medicine traditions. Since 1996 he has organized biannual “Rainforest Medicine Councils,” experiential workshops journeys, for “Personal, community and Planetary Renewal,” that have offered participants an intimate opportunity to meet and learn from cultural adepts, the mighty rainforest and the omnipotent plant teachers! His book “Rainforest Medicine – Preserving Indigenous Science and Biodiversity in the Upper Amazon” was published in 2013 (www.rainforestmedicine.net) He is the ecolodge principal steward where he lives most of the year, guiding rainforest experiences, tending the garden and overseeing the ecolodge operations.